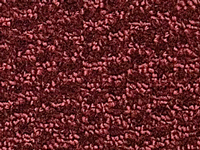 Marine carpet is a carpeting product which has been specifically designed for use in marine applications. 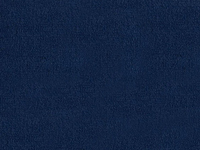 Several manufacturers specialize in producing marine carpeting, and many governments have grading systems which are used to define the various types of marine carpet available so that consumers know what they are buying. There are some special needs which need to be addressed with the carpeting used in boats, making it inadvisable to use conventional carpeting in marine environments. People can install marine carpet on docks, gangways, and in other marine facilities, in addition to installing it on the decks of boats. This carpeting has a flexible backing which allows installers to ensure that it conforms to the surface it is being installed on so that it will not slip or bunch. Marine carpet is made from products which resist ultraviolet radiation so that the carpet will not fade or become damaged through regular sun exposure, and marine carpet also resists mold and mildew so that it can withstand wet environments like docks. Marine environments are often slippery, making traction an important concern for designers of marine carpet. This type of carpeting is designed to be easy to walk on even when it is wet, so that people can walk around safely without the risk of falling. Marine carpet is also easy to clean; since it is designed to withstand wet environments, it can easily be sprayed down when it becomes dirty. Boat carpeting can be installed in a variety of outdoor areas, not just in marine environments. The toughness and durability of this carpeting product make it popular in outdoor settings where people want carpeting, or in environments which tend to get wet and messy. Marine carpeting comes in a wide range of patterns and colors so that it can match a particular design scheme, and some manufacturers will fabricate custom colors or patterns by request. 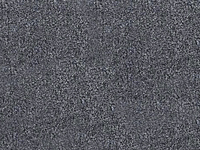 Custom shapes and sizes of marine carpet are also available for unique applications. The pile of marine carpet tends to be short, due to concerns about hygiene and safety. As with other types of carpet, it’s possible to get marine carpet samples so that consumers can get an idea of the options available to them before making a purchase. When ordering samples, people may want to mention where the carpet is being installed, as a manufacturer or dealer may have some recommendations about how and where specific carpeting products should be used. Marine carpet is also easy to clean; since it is designed to withstand wet environments, it can easily be sprayed down when it becomes dirty.